Payments services company Square on Tuesday announced a new partnership with Whole Foods Market that will see the rollout of iPad-based Square Stands at select grocery store locations nationwide. The Whole Foods deal is Square's second such partnership with a major retailer and comes a year and a half after the company signed on with Starbucks to deliver a similar system in 2012. As part of the tie-up, Whole Foods will deploy Square Stands at ready-to-eat food kiosks in select stores, offering customers a quick and easy alternative to traditional checkout lines. "Together with Square, we'll deliver options to expedite checkouts, and we look forward to developing new concepts to further simplify and improve grocery shopping," said Walter Robb, co-CEO of Whole Foods Market. "Square's forward-thinking vision and technology makes them an ideal partner to create a convenient, responsive experience for our customers." The first units will be set up at sandwich counters, juice and coffee bars, pizzerias and beer and wine bars, Square said. 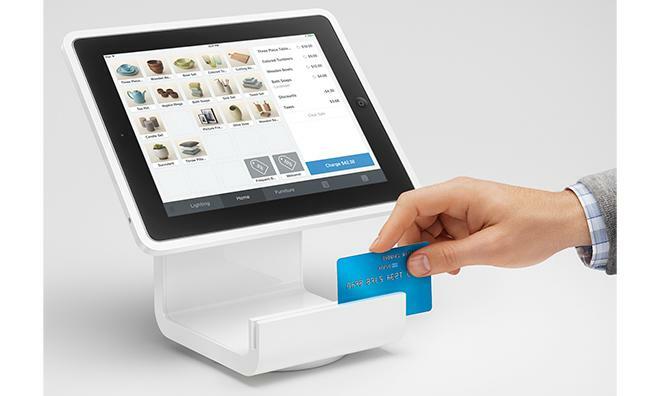 At the heart of the Square Stand is Apple's iPad, which delivers a high-powered hardware platform for Square's proprietary point of sale software. Along with major credit cards, Square Stand can also record cash transactions, accept gift cards and perform other digital transactions. The unit sells for $99 in the Apple Store and is in use by a number of smaller merchants nationwide. In addition to the hardware deployment, Whole Foods plans to give customers the option to use Square Wallet. The digital credit card, loyalty card and receipt storage app allows users to pay via QR code and is currently accepted at a number of merchants, including Starbucks. Currently, only seven Whole Foods Markets have adopted the technology, including stores in Austin, New York City, Florida and San Francisco, though rollouts at additional "lab stores" are in the works.